One morning, about a month ago, I was getting ready for work, fixing lunch in the kitchen. 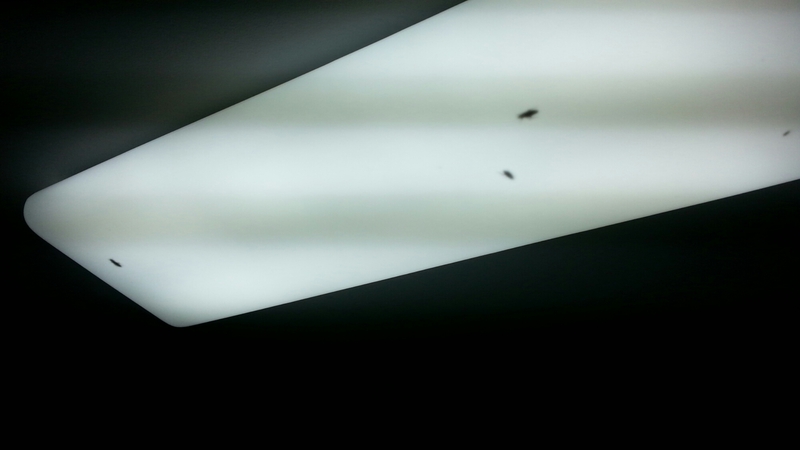 I looked up at the 4-foot fluorescent light and, to my horror, saw bugs inside the lights plastic cover. Big bugs. 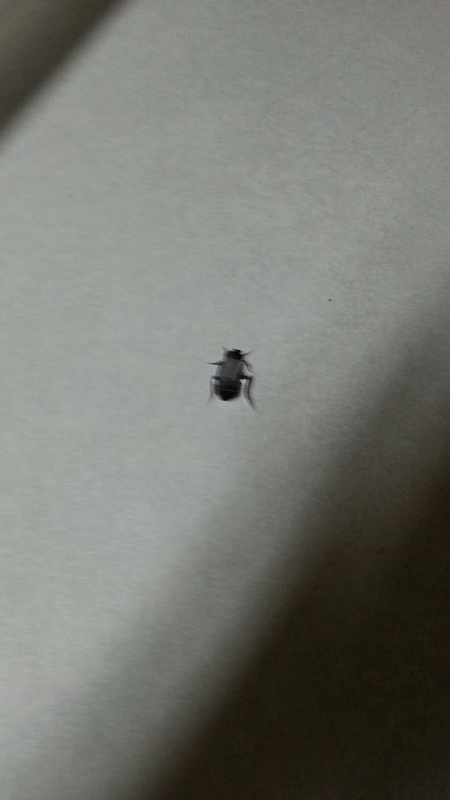 One inch long. I grabbed a kitchen chair. I knew they looked like cockroaches but I wasn’t sure and I didn’t want to freak out my wife. She seemed as alarmed as I was. I jumped on the chair, took off the plastic cover and was ready to rush out the door. My wife stood with her hand on the door handle. The bugs didn’t move. They must be dead, all dried up. Here’s a view from above. 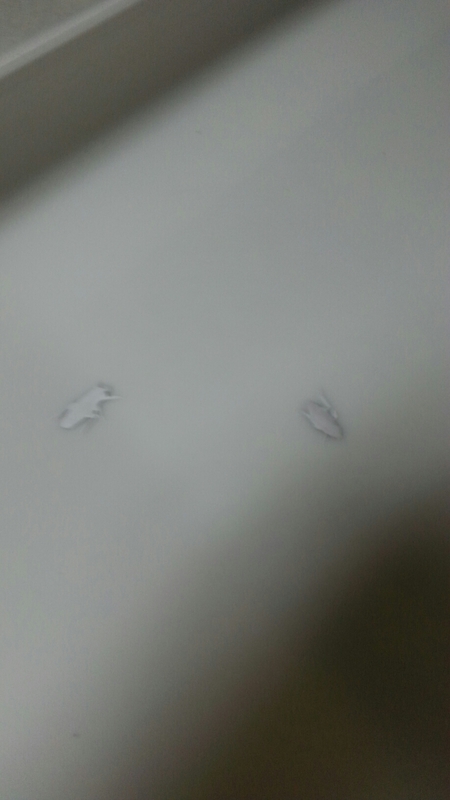 They are paper. Fake cockroaches! My oldest son , an artistic devil, drew pictures of cockroaches, cut them out, then stopped by the house when I was gone and put them in the light! He did this dirty deed on April Fools Day. My wife, who was so “alarmed” knew about this the whole time! It was a conspiracy. Ha ha very funny. What if I fell off the chair or had a heart attack? It’s all fun and games until dear old Dad gets hurt. ← Trying to be crabby.